At the exact center of the life you want to live. Stroll into The Orchards, where a vibrant world of convenient shopping, dining and socializing awaits. Walk to your favorite grocery store to pick up a carton of milk and eggs. And enjoy the intergenerational life around you on the walk back. 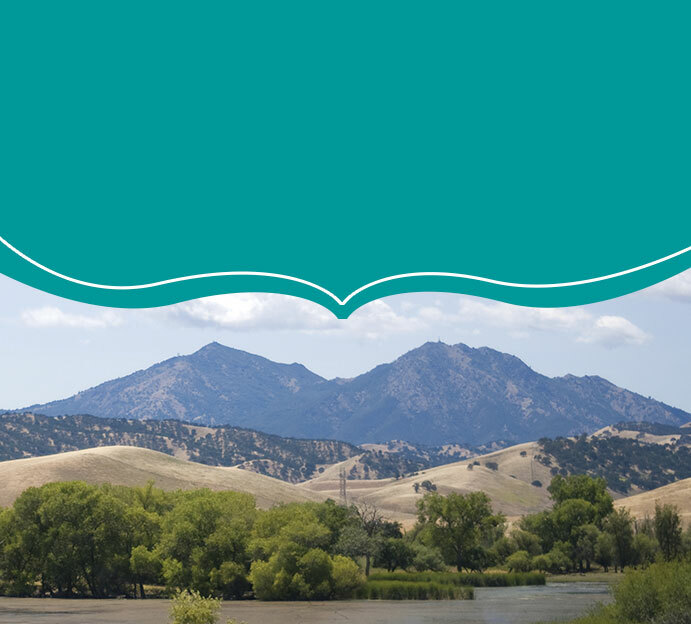 Investigate the attractions of downtown Walnut Creek. Take the neighborhood shuttle downtown or to the nearby BART station to access the treasures and pleasures of the Bay Area, from the symphony and ballet to museums, restaurants and stadiums. The Orchards at Walnut Creek is a lifestyle center that features the finest architectural and landscaping designs, a state-of-the-art grocery store, retail, and unique outdoor spaces for our neighbors and families to enjoy! A six-acre oasis featuring breathtaking gardens with sweeping views of Mt. Diablo, open 7 days a week. An upscale shopping mecca that is home to three premier department stores and more than fifty fine retail stores. Part of the network recognized as one of the nation’s premier health care providers by U.S. News and World Report for eight consecutive years, the Walnut Creek location is s a 554-bed hospital that is designated as the only trauma center for Contra Costa County. 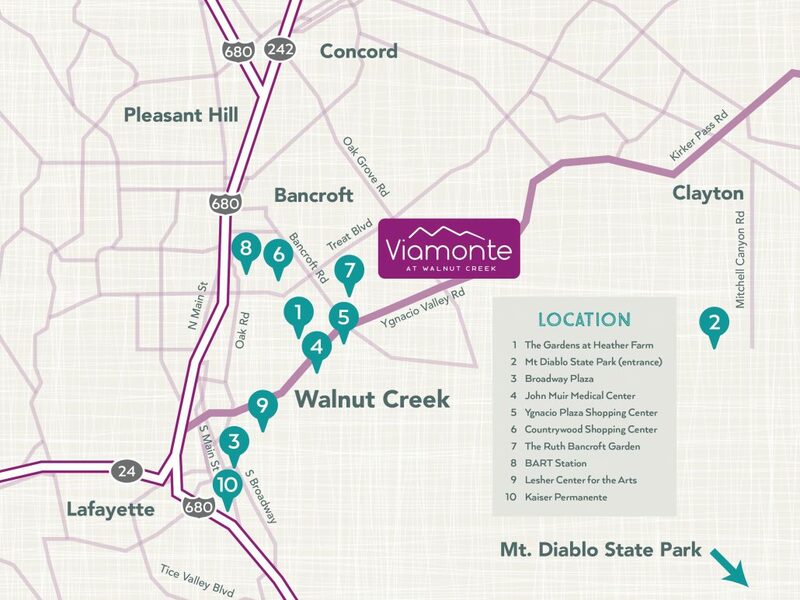 A convenient and accessible shopping area for Walnut Creek residents featuring diverse boutiques and eateries. Featuring local shops and national chains, Countrywood Shopping Center is a popular destination for a quick stop or a bite to eat. A nonprofit public dry garden that was planted by Mrs. Ruth Bancroft in 1972 and opened to the public in the early ’90s, the site was designed to showcase the beauty of water-conserving plants for the education and enjoyment of the public. With trains running 7 days a week between Pittsburg/Bay Point and San Francisco International Airport, the Walnut Creek station is just 34 minutes from the Embarcadero by rail. An architecturally striking performance center with three separate venues for theater, ballet, comedy & literary events, the Lesher Center is Walnut Creek’s main stage for cultural and entertainment activity. As part of the internationally renowned Kaiser-Permanente health system, the Walnut Creek Medical Center offers a 233-bed hospital along with a medical office building and a full range of healthcare services.